Built in 1965, Washington County High School is no longer able to support the needs of its students, faculty and administrators. 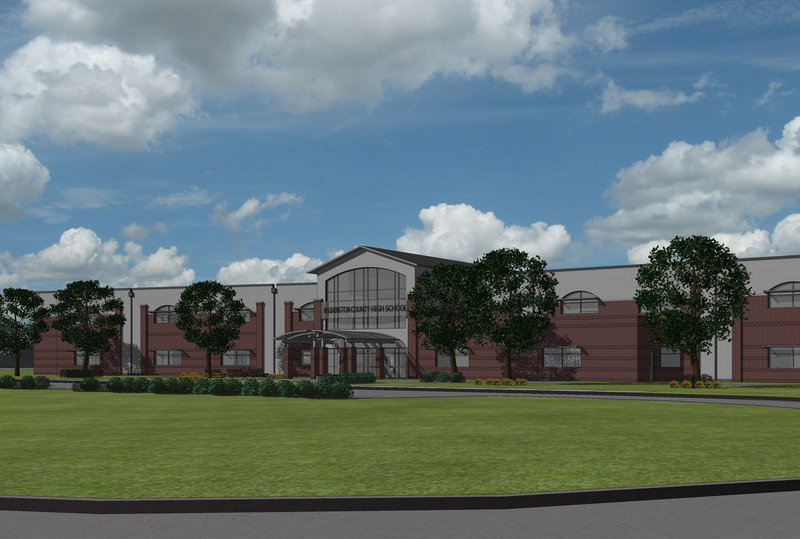 The Washington County Board of Education has worked with RossTarrant Architects to design a new High School facility for the District. The new school, which will be designed for 600 students, will allow for a redistribution of students that will provide more space District-wide. Upon completion, the attractive new facility will spur economic development in the region by attracting new industry to Springfield. 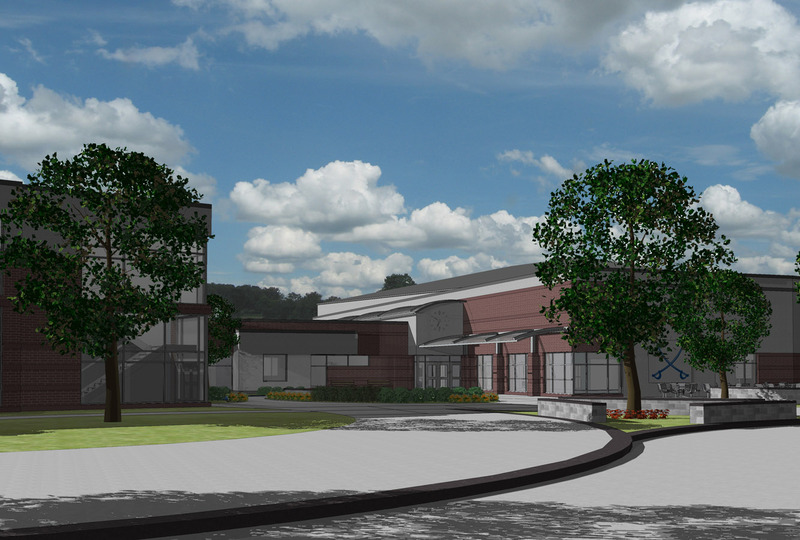 This high-performance school will feature a wide variety of energy saving features and may target LEED Certification. Passive daylighting and occupancy sensors on lighting will help minimize the building’s energy consumption. A cool roof coupled with highly-efficient insulated concrete form (ICF) wall construction will optimize the efficiency of the HVAC system and further bolster energy efficiency. The building will be Commissioned to maximize the performance of all of its systems. This 98,000 square foot project is estimated to cost $17,500,000 and is currently scheduled to be advertised on March 14th. One Prime Contract will be awarded. Some project components will be bid as alternates, including a geothermal HVAC system and a net-zero science classroom. Stay informed on all future changes to this project and follow it throughout the bid process by viewing and tracking Pre-Bid Project 2011-05A4 on the Builders Exchange website (*Builders Exchange membership required). Click here (*membership required) to access the entire pre-bid area of the Builders Exchange of Kentucky and browse through over 300 additional upcoming projects in Kentucky and Southern Indiana.